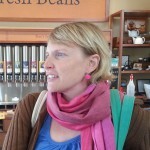 Photos and posts featuring my sister Amy Shearer. Amy has done loads of stuff. Loads. Having been over in Vienna for a while, she is now settled in San Francisco. Not far from Russ. She is now fighting for good in San Francisco’s justice departments.